“I will always be cheering for you from backstage”… Words a friend recently wrote to me. I couldn’t help wonder about those words and all the people that cheer for us from “backstage”. People we will never know about, people loving enough to believe in you when sometimes you don’t believe in yourself. 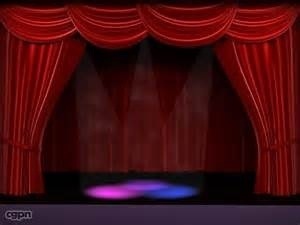 I began wondering this morning, if life is our greatest performance, just how many people do we have behind the curtain helping to run the show? All those people cheering for us from backstage… Their different roles they may have played in our life… Each one taking on a different job, as we preform unaware, in our greatest performance… Life! Be thankful for those who touch your life in every way. Be aware it takes a whole cast of people for you to play the staring role. And always remember, those behind the curtain cheering for you from backstage! Categories: inspiration, life, play on words | Permalink.